Located in the east-west highway of Rupani-Shambhunath Chure Hill section in Dharampur, Nepal, the Chandrabhoga Gadhi was probably built in the 13th century by king Chandrasen. It is a ruins of a historical fort. The fort is believed to be the remains of Ekagarh which was the palace of the Sen kings during winter season. During Baishakh (the first month of the Nepali calendar) locals visit this place and sacrifice a goat to the deity Chandrabhoga. 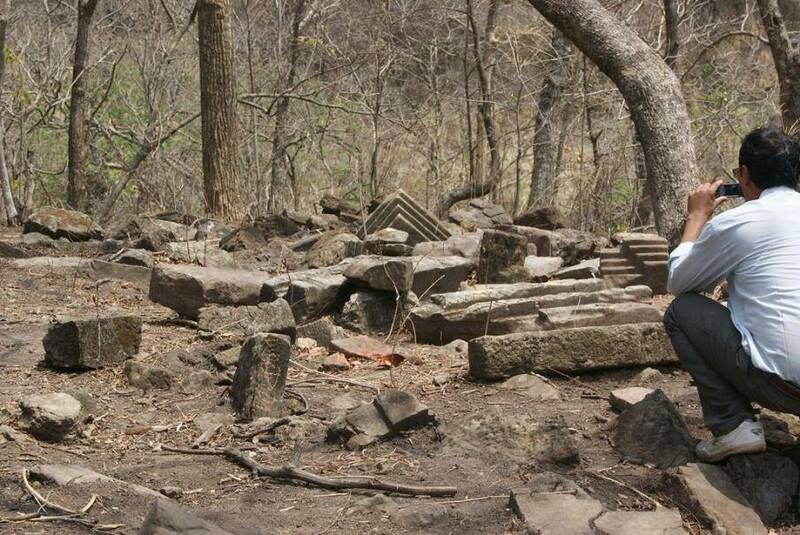 You can found remains of large pillars, columns of the temples with carved figurines, large bakes bricks, blocks of sandstone still untouched. A stone railing found there has carved figures of various unrecognizable idols such as one in a dancing pose, one in meditation pose, while some with bows in their hands. There is also a round like structure made of stone with some floral patterns on it. This place is also known as “Chandrabhaga” among the locals.